The world's first pop-up-camera phone, the Vivo Nex, is set to launch in Europe soon. According to a new report, it may cost as much as €849 (about US$967) in this region. On the other hand, as this is mainly based on rumor so far, this story should be treated at least a little skeptically at this point. The Vivo Nex is famous for its ground-breaking pop-up camera module. It put the front-facing 8MP camera in a mechanical component that slides up out of the top of the phone. This leaves the Nex's 6.59-inch FHD+ Super AMOLED display with a screen-to-body ration of 90%. 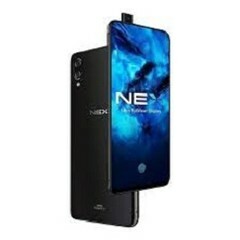 The Nex may also have been the first phone with an in-display fingerprint reader to many users. MySmartPrice claims to have gleaned from an "exclusive" source that the Nex is now coming to Europe. This phone has been most recently released to the Indian market, at a price of Rs. 44,990 (for the 8GB/128GB variant). However, even though this equates to about US$652, MySmartPrice's source puts the price for the phone at €849 (over $900) for the European market. The 'source' was not clear if this is for the 128GB storage SKU, or if the region is getting others. This story (albeit one yet to be officially confirmed by Vivo) may be somewhat disappointing for European fans of innovative phone builds, particularly as the Nex 2 (which may drop the moving-parts approach to selfie cameras in any case) may also be released shortly. However, time will tell if there is any real weight to this 'exclusive' report.